Joni Kay Carithers is the kind of person who doesn't let anything get in her way, not even lymphedema. The 53-year-old realtor had been living with the condition since 1998, after a mastectomy of her right breast and the removal of 21 lymph nodes from her arm. "Within a month of the breast cancer surgery, my right hand and my whole arm up to my shoulder got very swollen," Joni says. For years, she dealt with the chronic swelling caused by lymphedema as best she could. But when her mother-in-law mailed her a brochure about a procedure that might be able to help, called lymphovenous bypass, she was intrigued. Mayo Clinic is one of a few centers in the country offering this minimally invasive microsurgery. "I knew this was a relatively new surgery, but I was excited about it," Joni says. She decided a six-hour trip to Mayo Clinic's Florida campus to meet plastic and reconstructive surgeon Antonio Forte, M.D., Ph.D., was well worth the drive. "Despite having lymphedema for years, Joni was an extremely motivated patient who never gave up hope of improving her condition," Dr. Forte says. "I was confident we could significantly improve her quality of life with this microsurgical technique." Lymphedema, which affects about 20 percent of people who have breast cancer, happens when fluid builds up and causes swelling in an arm or leg because the body's lymphatic vessels can't adequately drain the fluid. Lymphedema is often caused by the removal of or damage to lymph nodes as a part of cancer treatment. To combat the condition after her surgery, Joni started physical therapy and began wearing a compression sleeve and glove to reduce the swelling. But she was used to being very active — walking four miles a day, mowing the lawn and doing home remodeling projects. Those activities would result in a lot of discomfort in her right arm. 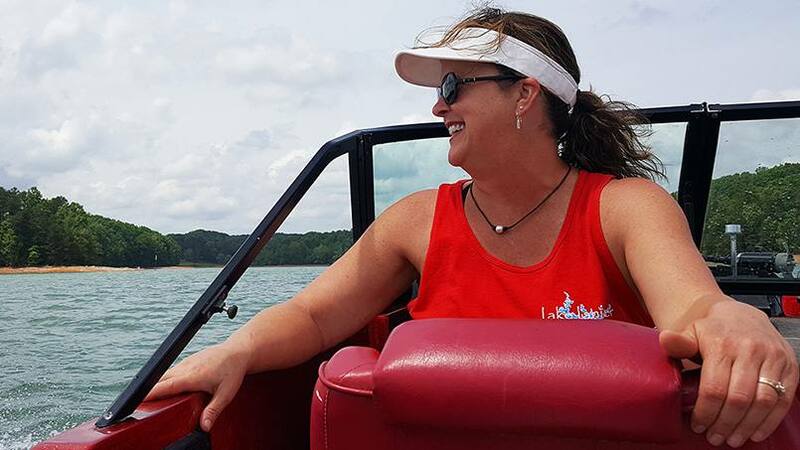 Shortly after moving to Lake Lanier, Georgia, in 2001, Joni also realized the lymphedema was significantly affecting her ability to enjoy new hobbies, including boating. "Despite having lymphedema for years, Joni was an extremely motivated patient who never gave up hope of improving her condition. I was confident we could significantly improve her quality of life with this microsurgical technique." — Antonio Forte, M.D., Ph.D.
"At one point I stopped all physical activity for six weeks and worked with a physical therapist to relieve the lymphedema," Joni says. Unfortunately, the condition persisted. In 2007, Joni purchased a machine that could massage her arm and help her body drain the excess fluid. Although it provided some relief, Joni still had to wear compression garments daily. "Logistically, it was a nuisance. If I was getting ready to make dinner, I had to take them off," she says. 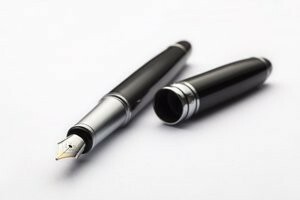 "Plus, I was having to replace them frequently because they would get dirty from doing yard work and home projects." In hopes of finding an alternative treatment, from time to time Joni would ask her physical therapists if they knew of any other solution. And she continued to do her own research. So when she received the information from her mother-in-law about the possibility that lymphovenous bypass could help her, Joni was eager to meet with Dr. Forte and learn more. At the appointment, Dr. Forte explained to Joni that during the procedure, they would make a new connection between a lymphatic vessel and a vein, bypassing the blockage in her lymphatic system and allowing the excess fluid to drain properly. "I knew from the way he explained everything, that my arm would be better when I came out of surgery," Joni says. "He's very nice, very smart. He looks you in the eye and wants to make sure you understand. He's a great doctor." On Feb. 11, 2016, Dr. Forte made a few small incisions in Joni's arm. Then, with the guidance of a unique microscope, he began to bypass the blockage that was causing her lymphedema. Magnification was necessary during the procedure because the lymphatic vessels and the veins involved measured less than a millimeter in size. "The magnification is 15 times higher than a normal image," says Dr. Forte, who uses a fragile needle with a suture thinner than a human hair to create the new connection between the lymphatic vessel and a vein that provides a path for the fluid to drain. Due to the size of the vessels, precision is crucial to success. So, too, is limited movement during the surgery. "Any tremor or motion is also amplified 15 times, so one bump or jolt can cause a tear in the minuscule vessels," Dr. Forte explains. After the five-hour procedure was finished, Joni went home the same day. Recovery, she says, was easy. "I'm grateful that there was finally a way for the fluid to drain," Joni says. "My arm swelling has been reduced by 70 percent compared to when I first came to see Dr. Forte." Her goal to stop wearing the compression garments became a reality six months after the operation. "I'm excited to go out in the boat and not have a glove and sleeve on," Joni says. She's even more excited about not wearing them at her daughter's upcoming wedding. Joni is grateful to be moving forward with her life in this way, unencumbered by lymphedema, with the help of her Mayo Clinic team. "Mayo had always been the place growing up where you went when you couldn't get answers anywhere else," she says. "I felt like it would be the best place to get something like this done. I never thought of going anywhere else." Watch this Mayo Clinic Minute to learn about lymphedema research and find out how exercise can help improve the condition. Explore the Robert and Monica Jacoby Center for Breast Health. Check out Mayo Clinic's Florida campus. Meet others living with breast cancer and lymphedema on Mayo Clinic Connect. For the first time I have some real hope! My son had surgery to remove a mass in his upper thigh. Approximately 3 years ago. Now he has developed Lyemphdema in the same area only the mass has increased dramatically. He is currently receiving therapy treatments at OHSU (hospital in Oregon) only it appears the extent of the mass is so large drastic measures need to be taken. I keep reading the testimonies of other people who went through massage treatment and also have experienced slow results over an extended period of time with reoccurring results. My son is 33 years old, his quality of life is very poor at this time. I am having difficulty making contact with Dr. Antonio H. Forte’s office. Thank you for writing Ms. Wambold. Unfortunately, we cannot diagnose conditions, provide second opinions or make specific treatment recommendations through this website. If you would like to seek help from Mayo Clinic, please call one of our appointment offices (Arizona: 480-301-1735 Florida: 904-953-0853 Minnesota: 507-284-2511) or visit https://www.mayoclinic.org/appointments. Thank you for your email. We appreciate your information.